Are you looking for affordable and high quality solution for pool leak detection in Alamo Heights? Whatever your swimming pool needs for residential and commercial spaces are, H3O Water Systems is always at your service, any time you need us! We are leading company in the Greater San Antonio area, when it comes to ensuring the best solutions for pools, sprinklers, splash pads, and spas. Over the years, we have developed an unbeatable record and reputation with complete dedication to customer satisfaction on all counts. We offer timely services at cost effective prices using the latest techniques at our disposal. Most importantly, our services ensure that there is no more dealing with costly leak repairs in the near future. Our aim is to make your job easy, so that you can concentrate on enjoying the blue clean waters of the swimming pool without worrying about the associated factors. 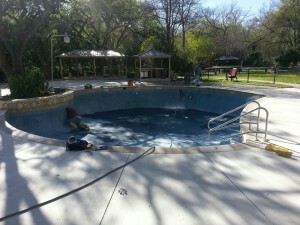 Why go for costly pool repair in Alamo Heights Texas when timely maintenance and cleaning can help you avoid such issues to a high extent? As anyone is going to tell you, pool cleaning is a sophisticated job that requires the use of high quality equipment with lots of patience and time. Why take on such troubling projects when calling us, makes the job so much easier and cost-effective. At H3O Water Systems we will make sure to answer every one of your questions related to a successful pool cleaning and maintenance. You’ll know from the start, what you are in for, what kind of solutions can we provide and to what gains as well. Below are some of the solutions that we provide. So, the next time you are looking for high quality pool cleaning in Alamo Heights, TX, do not forget to give us a call at 210-836-8181!